Twitter is researching online abuse, but will it solve anything? Twitter has been struggling with an online abuse problem for years. With more than 330 million monthly active users, the platform is still one of the most popular apps in the world, but its growth rate in the past 3 years has paled in comparison to its growth rate in its first few years of operation. Its contemporaries, from Facebook to Snapchat, are faring far better by comparison. Part of the problem here is online abuse, which all social media platforms must contend with, though Twitter seems to have a bigger problem with it than its contemporaries. Now, Twitter is looking to outside experts and other authorities to solve its abuse problem once and for all—but is it really going to solve anything? 1. Bullying. Cyberbullying comes in many forms, including sending mean or intentionally hurtful messages, spreading rumors, or pretending to be someone else for the purposes of embarrassing or hurting a person. Over half of adolescents and teens have been bullied online, so the problem is far-reaching. 2. Harassment. Twitter users also experience harassment, such as unwanted comments and messages from other users, including sexually explicit content. This behavior can be prolonged over a series of weeks or months. 3. Impersonation. Though Twitter does have a system to “verify” the accounts of certain high-profile users, impersonation is still a problem. A user who registers a username and uses the photo of someone else may be able to use the account maliciously, whether it’s spreading unflattering information about the individual or damaging their reputation. 4. Propaganda. Some accounts have been used explicitly for propaganda, meant to rally other users to a cause or subtly sew discontent among followers of a specific political party—or even a country. This was an especially important controversy when Twitter discovered that more than a million users engaged with Russian propaganda. 5. Coercion. Users, including minors, can be coerced on Twitter to do things they wouldn’t normally do, including making online posts and engaging in offline action. 6. Fake news. After the 2016 Presidential election, fake news became a major concern for social media users of all platforms. On Twitter, news stories are shared readily and quickly, which exacerbates the problem of unreliable news sources. 7. Unhealthy communities. Twitter also has a problem with fostering unhealthy communities, including isolated cultural “bubbles,” or echo chambers, where concentrations of like-minded users are free to shut down minority voices and become even more ingrained into their existing beliefs. 1. The public platform. Twitter is much more public than other social media platforms. Once you sign up for an account, you’re able to follow anyone with a public account, with or without invitation. On Facebook, and other platforms meant to encourage engagement with users you already know, it’s much harder to discover, follow, and talk to strangers. 2. Few app tweaks. 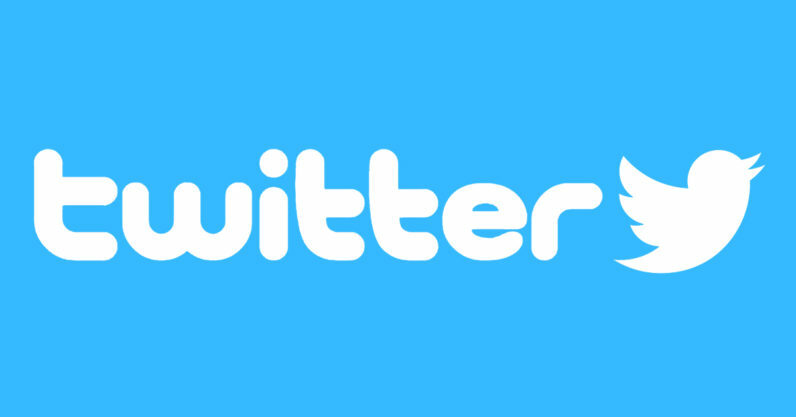 Though Twitter has seen a number of updates in its extended history, the basic nature of the platform hasn’t changed much since the early days. Online user behavior has, of course, changed, so there’s a disconnect between the capabilities of the technology and the demands of the average user. 3. Speed and brevity. Twitter is famous for its previously restricted character counts, and its encouragement of users to send tweets quickly and often. That high-volume, high-speed basis of interaction lends itself to many forms of abuse, and makes existing abuse problems appear even worse due to high-volumes of content – short though it may be. Recently, CEO Jack Dorsey announced that he was looking to partner with “outside experts” to mitigate the abuse and propaganda posted by some of its most egregious users. Among those partners is an organization called Cortico, which uses artificial intelligence to filter bubbles, highlight and remove false news, identify biased sources of information, and prevent voices from being forced out of conversations. But rather than finding and applying a single solution, Dorsey is inviting a team of academics and collaborators to help define “what health means for Twitter,” by submitting proposals for studies, which would delve into the nature of online abuse, and gauge the best methods for dealing with it. There are many advantages to this approach. It’s good that Dorsey recognizes the problem, and is willing to take steps to correct it, and it’s even better that he’s willing to consult outside experts, who have less bias, to help him decide what the best path forward is. 1. Timing. This is a change that should have started years ago, and for many users, this is too little too late. It’s also a long process to witness; academics need to come up with proposals, then have them approved, then conduct the studies—and even then, Twitter will have to review the information before they can make a change to the platform. 2. Meaningful change. Speaking of which, information doesn’t do anything. Information is good, and if harnessed properly, can lead to meaningful change, but learning more about the Twitter population isn’t guaranteed to lead to an update that can remedy the problem. It’s on Twitter to gain insights that information and make it actionable. 3. Company health and profitability. Let’s assume that Twitter finds the magic formula for correcting the years of accumulated abuse problems it’s faced. Is that going to secure the company’s health and long-term profitability? With a stagnant-to-declining user base, it seems unlikely that any one change would be enough to course correct. At this point, Twitter needs a serious overall in multiple areas if it’s going to survive. So is Twitter’s new foray into solving the challenges of online abuse going to pay off? That remains to be seen. This is a good step in the right direction, but it offers too many challenges to be considered a home run. Twitter, as an app, has long been on the decline, and cultural attitudes toward social media are starting to change. If Dorsey and his Twitter team act fast, they may be able to save the app and build a brighter online future—but there’s certainly no guarantee here.